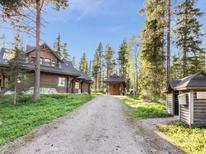 A holiday house in Finland costs on average USD 833 in the cheap travel period and USD 1,533 in the peak season per week. These details are of course in relation to the house and not per person as well as includes the obligatory additional charges. A truly charming country, Finland has something to please everyone. Here, you can visit picturesque cities and towns, get lost in its vast wilderness, see the Northern Lights, try angling and maybe even spot Santa Claus as you explore Finland’s northernmost regions. 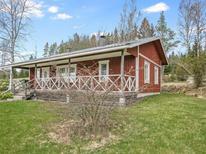 Indeed, those who opt for a holiday home in Finland will soon realise that it's a vacation destination unlike any other. From the capital of Helsinki to Rovaniemi in the far north, there’s plenty to discover when you rent a holiday house or apartment in Finland. 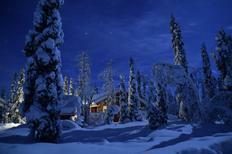 During your stay in a Finnish holiday house, you’d be wise to do as the Finnish do. 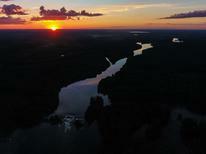 Spending time on the country’s many lakes (there are some 188,000) is a must. Have a go at angling if you’re staying in the Finnish Lakeland, whilst if you’re visiting Finnish Lapland during winter, you’ll be able to try your hand at the many winter activities on offer, which include downhill skiing, cross-country skiing, ice fishing and snowshoeing. 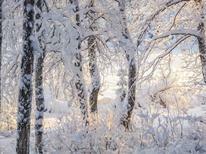 Visit Helsinki and discover a city brimming with cultural activities as well as natural beauty. The sea fortress Suomenlinna is well worth checking out, as are several of the city’s museums, such as the National Museum of Finland and the Museum of Contemporary Art Kiasma. Meanwhile, Helsinki's Central Park is a wonderful place to while away a sunny summer afternoon. Wherever you visit in Finland, be sure to factor in a trip to a Finnish sauna. This cultural staple doesn't only give an insight into the Finnish way of life, but it's also a great way to relax after a packed day of sightseeing. Why book a holiday rental with TUIvillas.com? TUIvillas.com is a reliable platform for holidaymakers seeking their perfect holiday rental. 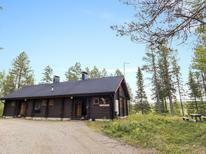 On the website, you’ll find a wide range of options to suit all budgets, ensuring that you can find the ideal property for an unforgettable vacation in Finland.